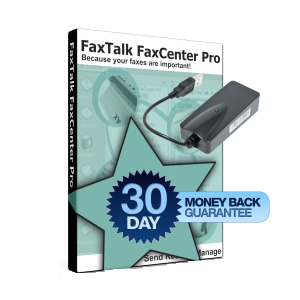 Use this adapter to connect any legacy serial fax modem to a computer without a serial port. This USB to Serial adapter is a 2 foot cable that adds a 9 pin male serial connection to your computer. It connects directly to any free USB port. Plug your external fax modem or other serial based device directly into the adapters serial port. Compatible with Windows 10/8/7/Vista/XP and Windows Server 64 bit and 32 bit. This USB Serial adapter allows you to connect any serial based hardware such as an external fax modem to any USB 1.1, 2.0 or 3.0 port on your computer. 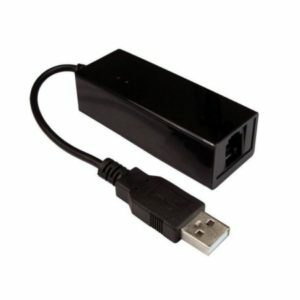 It adds a 9 pin serial port to your computer and it does not require any external power. 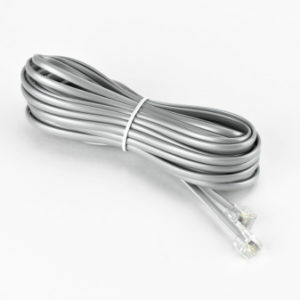 This 9 pin serial adapter has a 2 foot length with posts to connect directly to your devices’ serial cable. Supports RS-232 serial interface. USB 1.1 compliant. 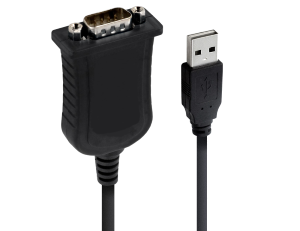 Works with USB 1.1, 2.0, and 3.0 ports (runs at USB 2.0 speeds on 3.0 ports) with USB suspend condition. Supports up to 500 Kbps transfer rate. Advanced 16 Bit processor for USB transaction and control data processing. This serial adapter can be used with numerous devices that have a serial interface, including GPS units, fax/voice modems, Point of Sale devices, firewall, routers, DVRs and more. Can be used with popular terminal software such as HyperTerminal or TeraTerm. Supports Windows 64 bit and 32 bit, Linux and Mac OS. Uses the Prolific PL 2303HX Chipset. Includes Windows Drivers and links for updated drivers for Linux, Mac OS.